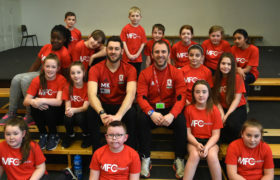 Britt Assombalonga visited our +Sport Move & Learn programme at Preston Primary School in Egglescliffe this afternoon as part of the EFL’s Day of Action. 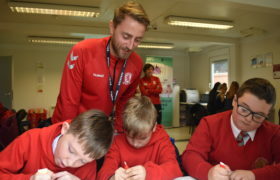 Britt came down to help the children with their lesson on anatomy, giving the children guidance with labeling different organs in the body, and helping to explain how each organ functions. 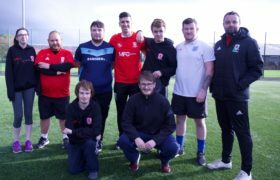 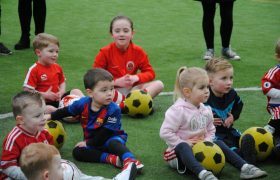 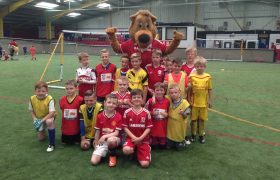 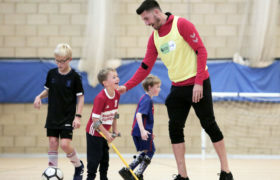 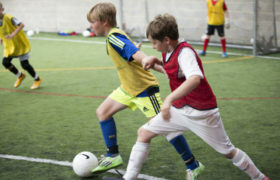 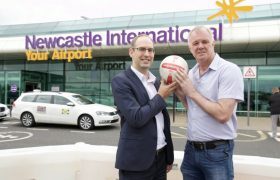 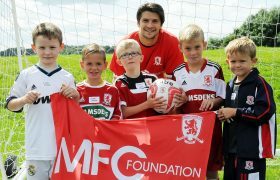 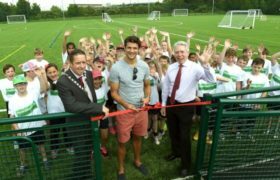 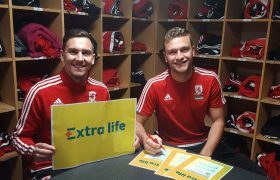 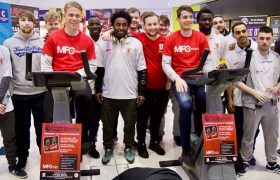 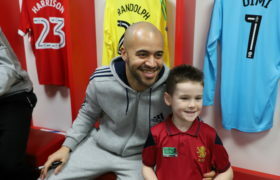 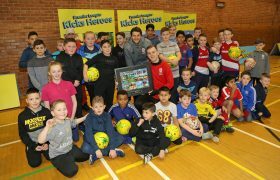 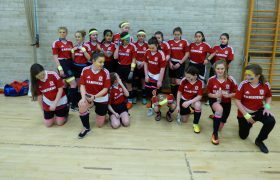 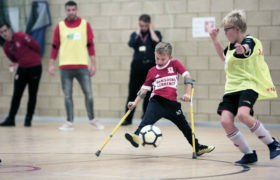 The Middlesbrough FC striker also joined in as the session became more active, requiring the children to dribble a ball from one end of the hall to the other with a cut-out of an organ to stick on the bodies they drew as part of a relay race. 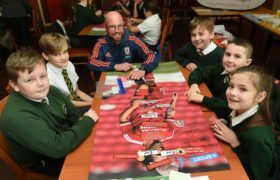 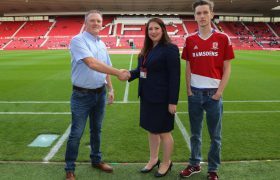 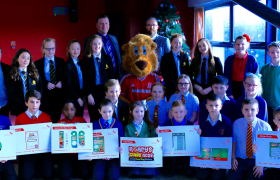 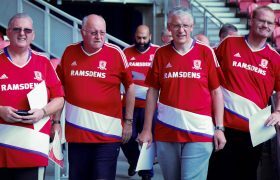 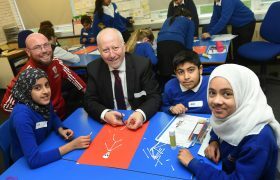 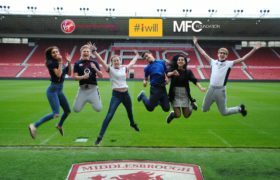 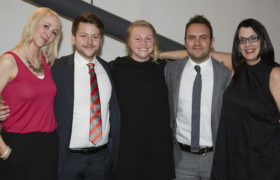 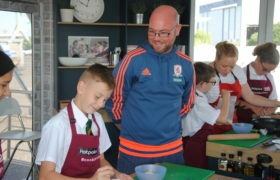 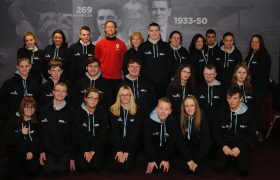 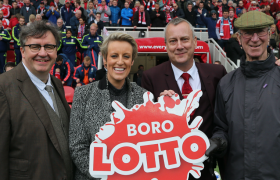 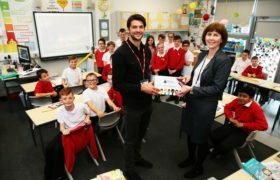 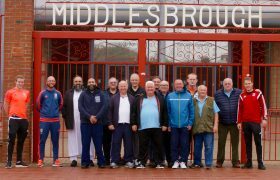 At the end of the session, Britt handed out three pairs of tickets to Middlesbrough’s Tuesday night game against Bristol City at the beginning of next month, as well as taking a photo with the class. 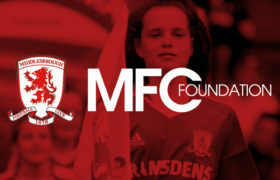 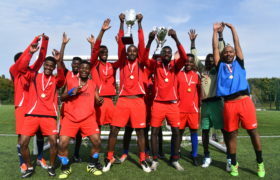 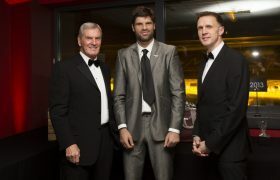 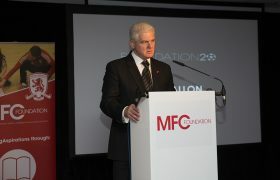 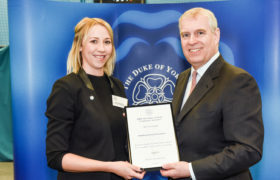 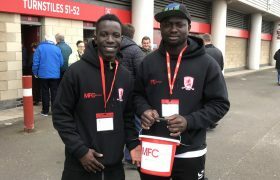 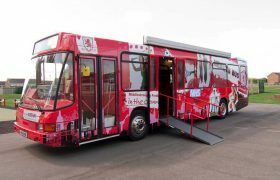 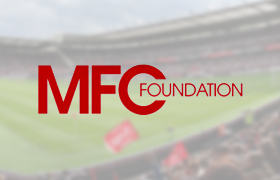 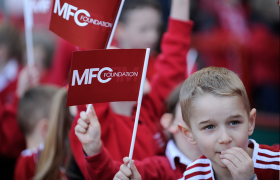 Talking about the work Middlesbrough Football Club and Foundation do in the local community: “We do a lot of community events, go to see schools, hospitals and disability group and I know all the boys like to do them.